M.F.K. Fisher once said,“First we eat, then we do everything else.” This year, we ate, then we had a baby, then we ate again. We didn't travel to exotic destinations, but we had plenty of adventures around the Midwest and behind our own front door. And so with that in mind, here are my favorite food-related things from 2014, in no particular order. 1. 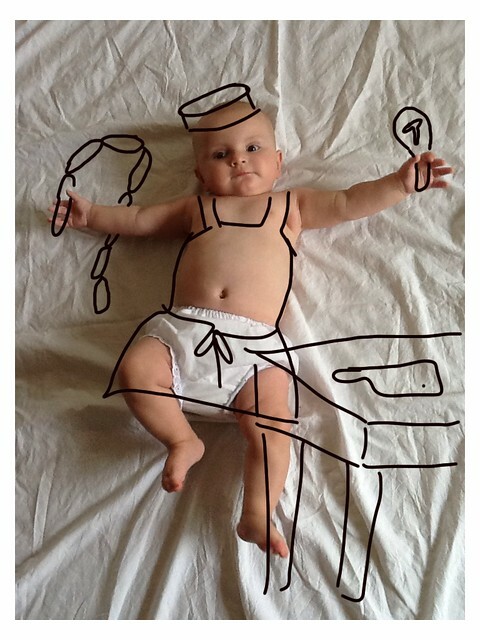 BABY DREAMS. Our little Margaret Mae expanded the horizons of our hearts when she was born in April. We've sketched out many of our dreams about her, some of which involve charcuterie. 2. ALEMAR CHEESE. Midwest cheese makers manage to knock my socks off, year after year. To my delight in 2014, Alemar Cheese Company released a new brie-style cheese called Blue Earth. 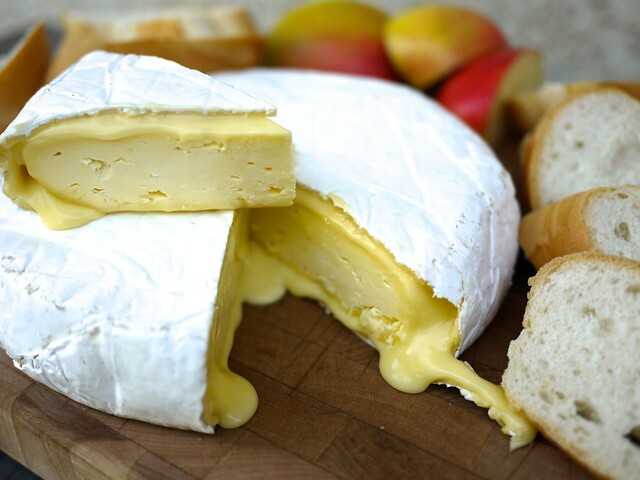 It’s slightly buttery, with a mild brie flavor, and an utterly unctuous texture. 3. ST ISADORE'S MEAD. Inga Witscher is a fourth-generation organic dairy farmer and the host of the television program, Around the Farm Table. 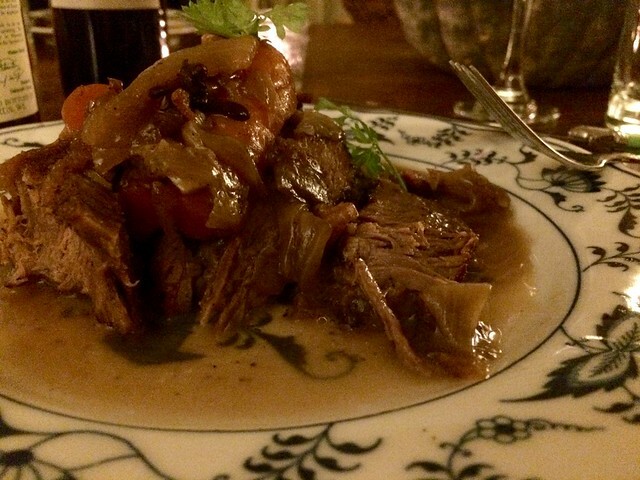 We had the pleasure of enjoying dinner at her home in Western Wisconsin earlier this year, where she served us tender veal, home made cheese, and roasted vegetables - all from her farm. 4. FRIED CHICKEN. Two days after we came home from the hospital with the babe, our neighbors, Jess and Sarah, showed up on our doorstep all dolled up in vintage dresses carrying a basket of fresh fried chicken, sautéed greens, biscuits, and key lime pie. No joke, I think gerg started crying while he was eating it. 5. WISE ACRE. An afternoon luncheon on a glorious sunny day at Wise Acre Eatery was a special treat last summer. This salted caramel, vanilla custard, and espresso shake was a heavenly end to a lovely meal. 5. BOOZE. Two weeks after baby arrived, we joyfully restocked the liquor cabinet and larder with spirits, kickass microbrews, and wine. We toasted, and toasted, and toasted, until we were toasted. 6. GLAM DOLL DONUTS. Remember that time when I was 38 weeks pregnant and Ben delivered a box of Glam Doll Donuts to our house? No? Well, I'll never forget that. 7. BRASSERIE ZENTRAL. The lamb neck ragout and braised red cabbage over house-made gnocchi at Brasserie Zentral made for a memorable birthday meal, as did the chocolate mousse cake, the cocktails, and the leisurely motorcycle ride to and fro with my husband. 8. BABY SHOWER. 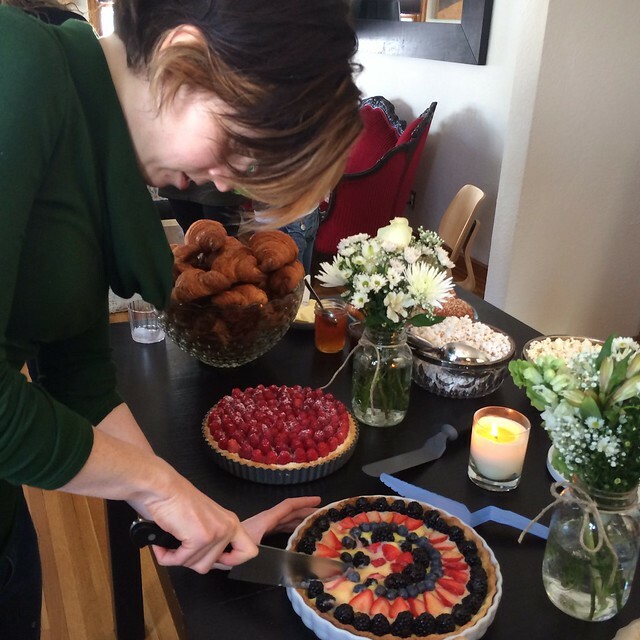 I'll never forget all of the amazing food served at my baby shower at the Pearson residence, including two fruit tarts made with love by rising pastry boss and all-around lovable gal, Carrie Riggs. 9. COPPER HEN. The “breakfast cupcake” at The Copper Hen features fresh blueberries and bacon on buttery crumble cake. The whole works is topped with cream cheese frosting and maple syrup. It's a bit of a breakfast bomb, but it hits the spot with a cup of hot coffee. 10. STOCKHOLM PIE COMPANY. After YEARS of wishing and waiting, we finally made it to the Stockholm Pie Company where I savored this decadent slice of chocolate cream pie. 11. RED STAG. Dominating Bloody Marys and bunch at the Red Stag with the Pearsons and Drabandts before heading to The Bank to watch the Packers school the Vikings was totally tubular. 12. RECOVERY FOOD. Four months after the baby was born, I made an encore appearance at the hospital to have my gall bladder removed. While I recovered, our friends and family went above and beyond, with food and love (in order left to right, top to bottom): baked enchiladas from the Pearsons, fresh spring rolls from the Ackermans, savory hand pies from Carrie, kefta and orzo salad from Jon and Aimee, Niçoise salad from Dan and Rachelle, taco salad from the Lorges, and pulled pork sandwiches from Reed and Sarah! Maggie's first dim sum with the Liens, Trans, and Micah and Sarah. 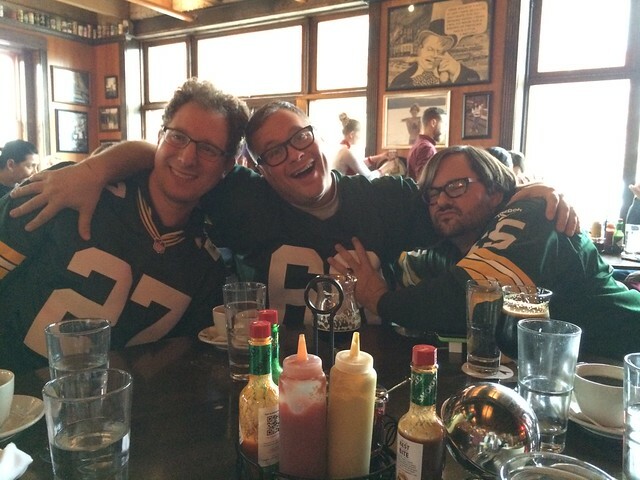 The time we surprised the Drabandts with bloody Mary's, and Tim's parents were there and we ended up day drinking and talking smart about the Packers. The caramel and toasted almond tart that Aimee made on NYE. The epic gingerbread castle we made with the Flanagan side of the family. Remember how gorgeous it was in September? 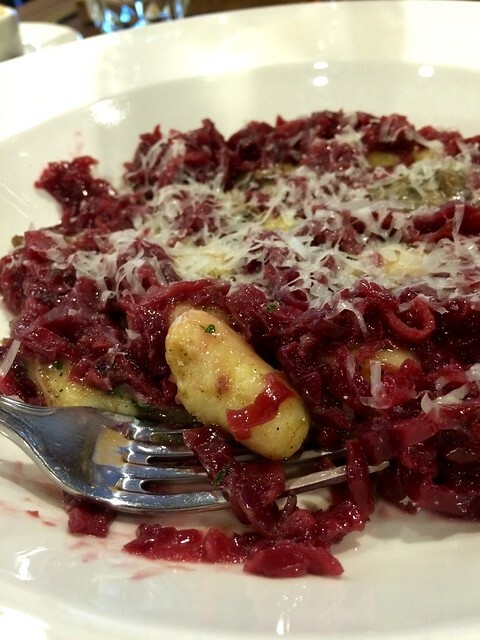 We enjoyed a glorious luncheon at Sea Salt in September with the Hirbars that I shant forget. Hey Marie, this post could not have come at a better time! We are looking forward to visiting the Twin Cities and there are a few items on this list that are definitely worth checking out!